Mercurial hip-hop star Kanye West burst out of his extended absence from the public eye last week with a series of philosophical tweets he described as some kind of "book" — one you really have to read for yourself. The novelty of the barrage, which came with an announcement of two new albums, wore out pretty quickly after West expressed his admiration for conservative commentator Candace Owens. Owens, a staunch critic of Black Lives Matter, has rankled the landscape of sociopolitical analysis, if not because of her post-racial denialism — a recent revelation, apparently — then generally because of statements such as the one below. This was not the first time West shared his affinity for controversial figures on the right. He met with then President-elect Donald Trump in December 2016 ostensibly to address "multicultural issues" ranging from bullying to inner-city violence in Chicago. Emerging from a mental health crisis at the time, Yeezy escaped the level of scrutiny he's receiving this time around. The overall message in West's recent tweets seems to be the all-importance of free thought. Because he evidently associates that with figures like Owens and Trump, the tidal wave of criticism he's facing for that stance should hardly come as a surprise to anyone. Owens is a self-styled iconoclast and Trump is, you know, always and forever Trump. West dug his heels in further on Wednesday with yet another string of political tweets, including a photo of an autographed "Make America Great Again" hat. President Trump himself called it "very cool." Liberal calls to boycott West's music were quick to surface in the aftermath of this latest tweetstorm (which did not in fact cost him millions of followers, contrary to initial reports). Conservatives then countered in what became a brutally reductive exercise. If you support the boycott of companies for their ties to the NRA, you should boycott the Kardashian/Kendalls for their ties to Kanye. Or... Boycott them all because they're trash. I don't wanna see any "woke" friends caring about any of them anymore. Kanye / Trump history is so wild. In 2009 Trump called for a boycott of Kanye after he interrupted Taylor Swift at the VMAs. In 2010 Kanye fired back on MBDTF rapping "Balding Donald Trump taking dollars from y'all"
Search the phrase "boycott kanye" and hit latest. It's a cool trick. 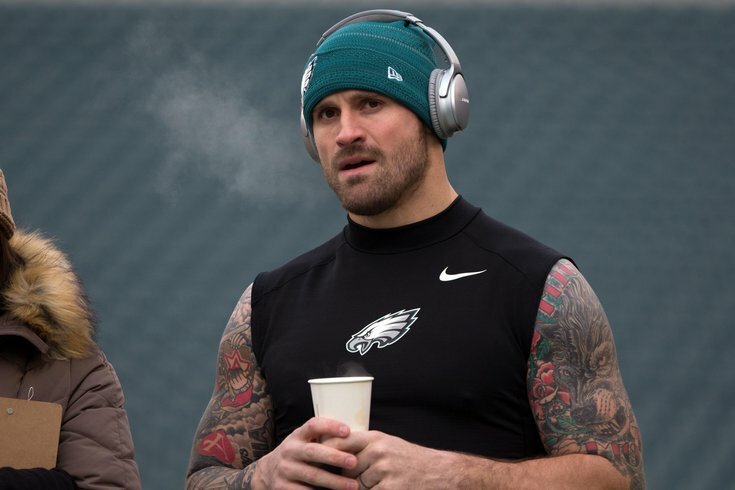 Into the fray came outspoken Philadelphia Eagles defensive end Chris Long, who generally stands in full support of progressive causes and speaks out frequently against racial discrimination in America. In this case, Long couldn't get on board with the idea of boycotting Kanye West's music. If you're *boycotting* Kanye's music over political leanings and bad Candice Owens takes, I'm gonna need to see your athlete and entertainer boycott resume. You must be busy. Twitter "Thank you, Chris, for not just staying in your lane and expressing your opinions in this political climate because you don't have to"
Twitter "Stay in your lane." At the end of the day, Kanye West enjoys the platform he has because of his musical gifts, not his fashion cult or his politics. His well-known antics are permitted because of the strength of his music. If he falters on these albums, one of which is a collaboration with Kid Cudi, then he'll probably have to get that right again ASAP. It would otherwise be tough for him to maintain credibility in the face of claims that his Kardashian bubble has changed and blinded him to the world he believes all this jagged wisdom is serving. Just a guess: it'll be polarizing.